I really enjoyed this intelligent, crime mystery. 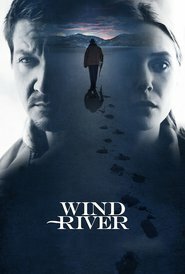 Renner and Olsen make a good partnership as they try to solve the mystery of a young Native American girl who has gone missing, trying to deal with the people living in an isolated, dead end community and the inhospitable landscape. If you like Scandinavian-style crime, you’ll like this one. Chilling.